A photo of the suspect released by the Gardena Police Department. 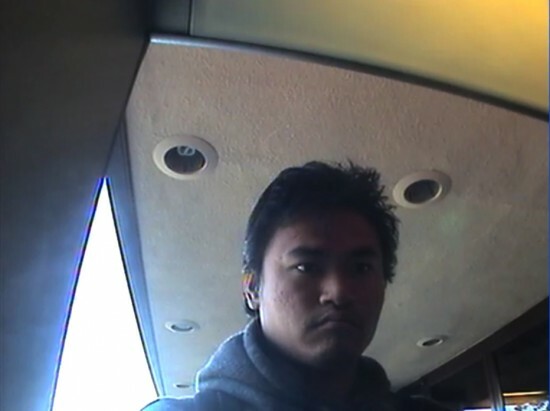 GARDENA — Gardena police on Wednesday released security photos of a man wanted for fraudulently using someone else’s ATM card. The card was used about 9:40 a.m. on Feb. 12 at a Bank of America branch at 1450 W. Redondo Beach Blvd., said Gardena police Lt. Steve Prendergast. The man is described as Asian, about 24-27 years old, 5 feet 10 to 5 feet 11 inches tall and 150-160 pounds, with black hair, brown eyes and acne. Anyone knowing his identity was urged to call Detective Rivera, (310) 217-9637; or Crime Stoppers at (800) 222-TIPS.